“Daniel, do you have any friends that are girls at your daycare?” Hannah (5) asked Daniel (3). “Charlie is my friend, ” he told her. 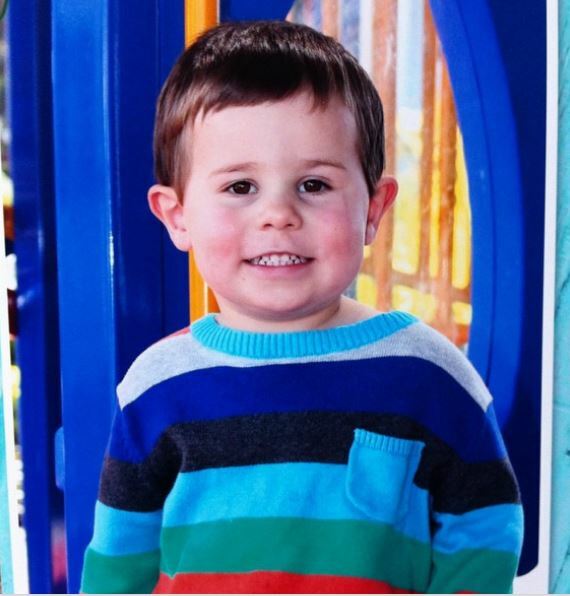 “Charlie is a boy, buddy.” I told him, knowing there is a little boy named Charlie at his daycare. 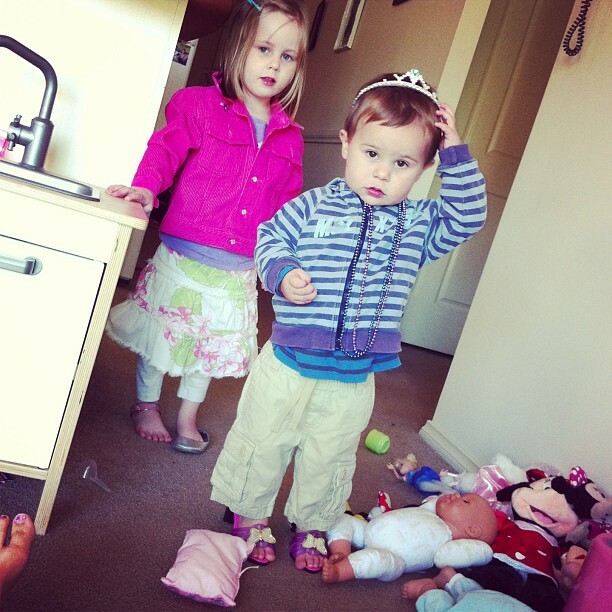 “No, there’s a girl Charlie too.” Daniel said in a duh-Mommy-I’m-not-stupid tone of voice. “What does girl Charlie look like?” Hannah asked him. “But what does girl Charlie look like?” Hannah asked again, clearly unimpressed with the description only a little boy could give. He thought about it for a couple more seconds. “She has a nose, like me!” He said proudly. “What colour are her eyes?” Hannah asked, changing tactics. “Um….Mama, what colour are girl Charlie’s eyes?” He asked me. “Yeah, but what colour are her eyes, Mama?” He asked me again because obviously moms should know everything. So girl Charlie wears girl shirts and has a nose. Thank you Daniel for those insightful observations. As usual, the kids got way too many presents from everyone, which means we had to cull lots of their old toys to make room. And luckily for me, ToyTainer sent me a bunch of their products just before Christmas, which means extra storage places for all those Christmas toys. For every day use, this hang on a door ToyTainer is our favourite. 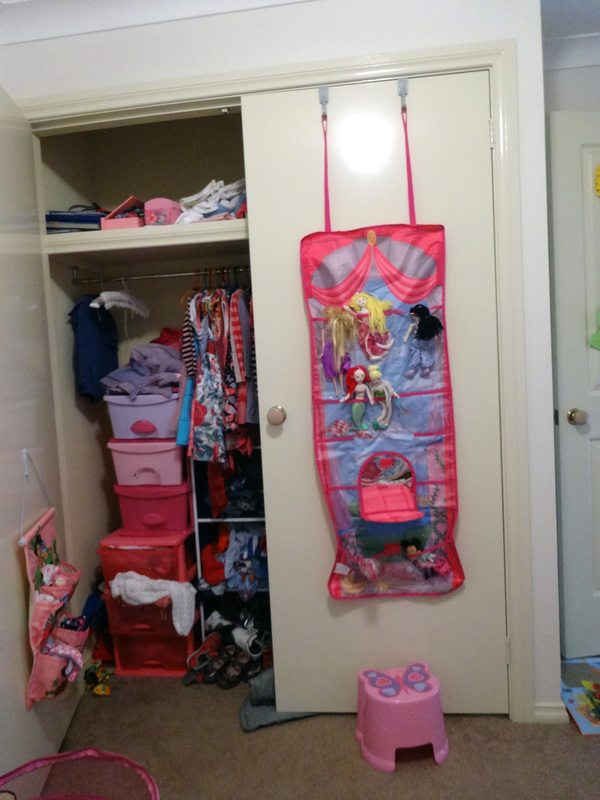 As you can see, there is no room IN the closet for toys…. The princess castle (picture above) is a great space saver since it goes over the door. It also has adjustable height straps, which is super awesome. I put it on it’s very lowest setting so that Hannah can see in the mirror from the ground (which she loves), and reach even the highest toys with her stool. Most importantly, Rosie (our new puppy) can’t get any of the toys in it, which makes it a great place to store all of Hannah’s enticing, chewable, puppies-like-to-rip-the-hair-off dolls. When we travel somewhere that doesn’t have any toys, we can fold up the princess castle, with all the dolls and things in it, and take it with us. Easy, and perfect for holidays/vacations. Daniel got the boys version, called games centre, which has a basketball hoop at the top. Hannah likes using the hoop, but Daniel is a bit too small for it. He will appreciate his games centre when he is a little older. And taller. For now though, it’s great for extra toy storage. The hoop makes cleaning up super fun. We also got a shoe box for each kid. Hannah decided immediately upon opening hers that it is called a “Caravan Bag” and likes to take it in the car filled with my little ponies and other girly things. Daniel likes to drive his cars and trains around on his and then put them away through the little opening at the bottom. I like how they are portable storage, but also a toy in themselves. We had to go on an unscheduled trip over 4 hours away to attend Aaron’s Nanna’s funeral and the kids piled their caravan bags with chosen toys. Daniel’s fit heaps of Thomas engines, train tracks, cars, dinosaurs, and the mat I talk about below. Hannah’s fit ponies, books, play jewellery, and her play mat. I was surprised at how much stuff can actually fit in them, and they were perfect for taking away with us. Another easy clean up and travel item is the EZ-mat. There is a pink one with dirt roads/trails, and a blue one with roads. The kids can play on them and then use the cord to turn them into a bag with all the toys and cars inside. Brilliant for travel. 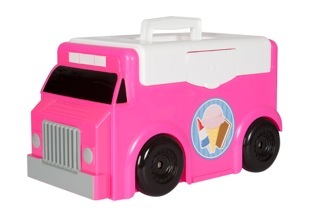 There is also the pink ice cream truck which Hannah absolutely loves because it’s fun to push around and unlike most cars and trucks that size, is not made with boys in mind. She loves that it’s pink. Open the top of the truck and it’s completely hollow, designed for storage. Hannah stores all of her little toys that Daniel is not allowed to play with due to their choking hazard. They are now all in the one place, and easy to store away from Daniel’s prying hands when Hannah isn’t playing with them. If you would like to win over $150 worth of ToyTainer products, leave a comment below and I will pick a winner using a random number generator from random.org. 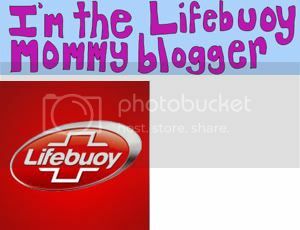 For an extra entry, like the Mommy Adventures Facebook page (click here to go there). I will assign each new like a number (in order of the like, starting with the number that immediately follows the number of comments), which will then be included in the random number generator. *I received ToyTainer items in exchange for my honest opinion about them, I did not receive any money for writing this post. It seems like just yesterday I was lying in a hospital bed, gazing lovingly at the slippery little newborn nuzzled on my bare chest. But it wasn’t just yesterday, it was FOUR YEARS ago! Mind blown. 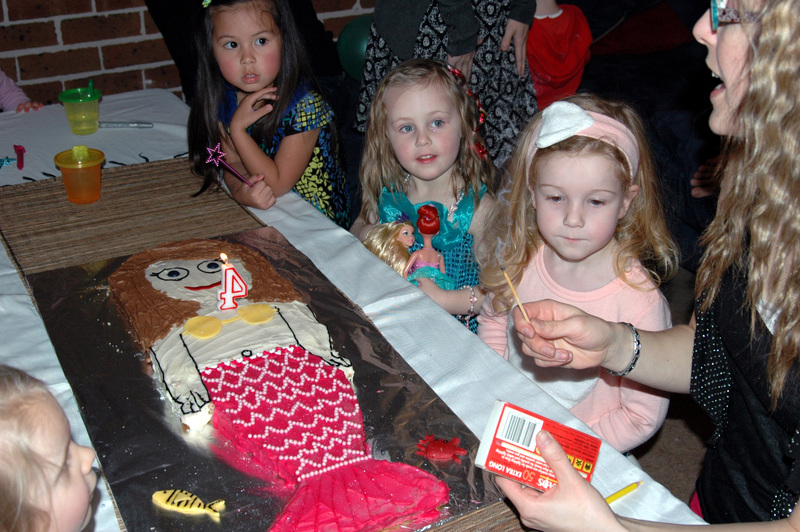 On the weekend, we hosted Hannah’s very first individual birthday party (she has joint parties every year, but this was the very first one for just her). She’s really into the Little Mermaid right now, so we had a mermaid party, complete with costumes. 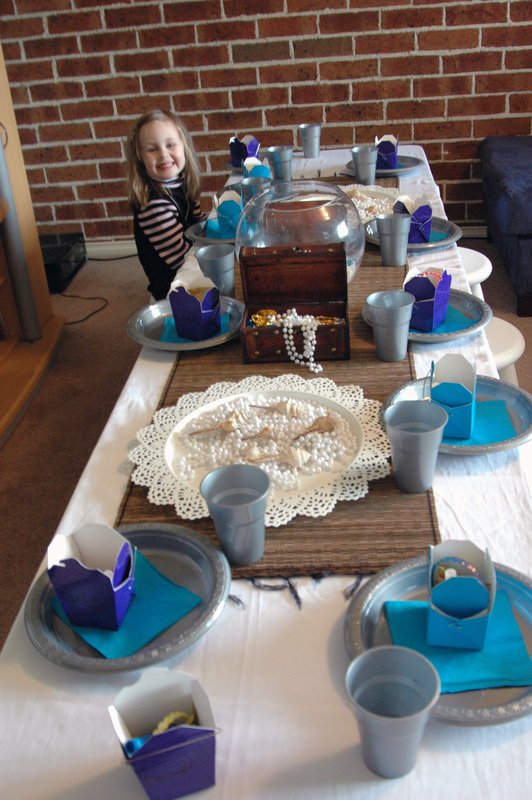 We hired a party box from Marie Louise Candy Buffets and Events that came with a child sized table and chairs for 10, table cloth, costumes, plates, cups, decorations, and even a lovely little necklace for Hannah to keep. I’m pretty sure the set up would have looked better had I let Jacqui of Marie Louise set it up for me, but I wanted to do it at the very last minute so Daniel didn’t tear it all apart, so I did it myself. Well, not all by myself, Aaron and The Jess and Hannah helped too (whilst Daniel had his nap). There were even above table decorations. The mermaid skirts were made for older kids, but we just pulled them up to the kids’ armpits and all was well. 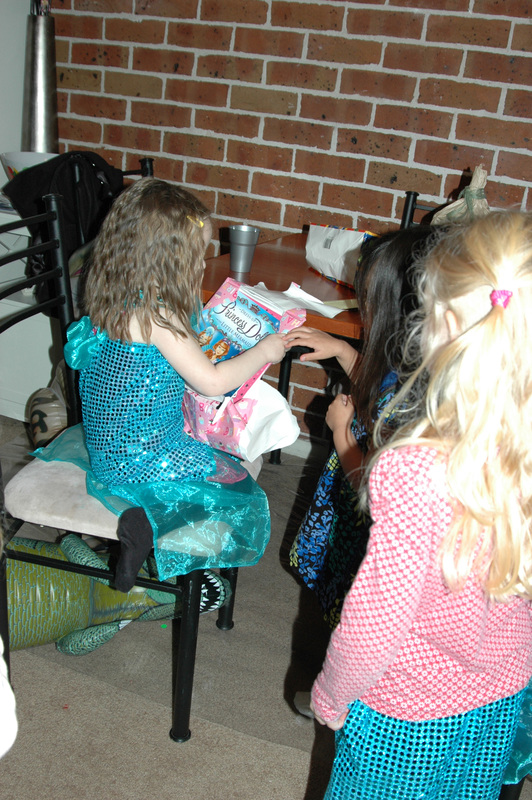 The intent was to make some little mermaid puppets with curling ribbon hair and glitter glue all over the tails, and a paddle pop (popsicle) stick to hold them up, but all the kids wanted to do on arrival was play. Duh, I should have known that a bunch of little kids would want to check out all the toys first, rather than doing craft. Rookie mistake. I planned to do a cheap, super easy version of pin the tail on the donkey outside, but it rained and rained for days before and during the party, so that didn’t quite pan out. 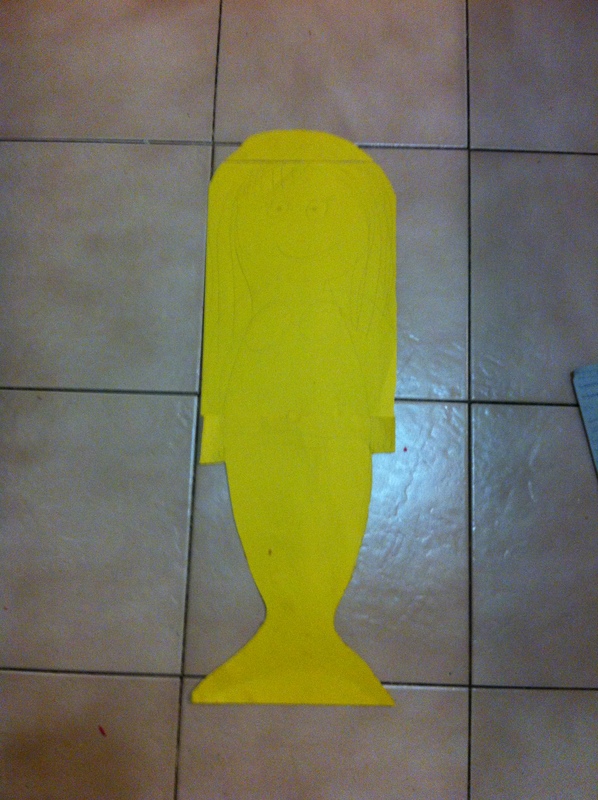 Instead of pin the tail on the donkey, it was going to be colour the flower on the mermaid. A big mermaid was going to be drawn on the brick wall outside, with a big flower outline on her tail. 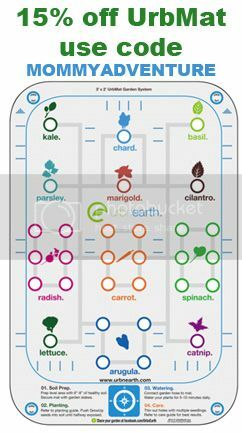 The kids would be blindfolded, and spun around, chalk in hand, and then attempt to colour in the flower. Closest to the flower wins. But that obviously didn’t happen since I didn’t want 11 muddy wet kids running around afterwards on our beige carpets. We did manage to play pass the parcel, which went down a treat, minus the one layer that I wrapped but forgot to actually put stuff in (a consequence of watching TV whilst wrapping, I’m sure). I also wanted them to play musical chairs outside where there was more room, but since we couldn’t, we played musical bump inside instead. At Hannah’s age, I think that was better anyway. What is musical bump, I hear you asking? When the music starts, all the kids dance, and when it stops they sit down on the floor. Last one to sit down is out. Except we just kept track of who was out and who was not because everyone still wanted to dance. As a bonus, they burned lots of their hyper little kid energy off with all the jumping. Because that is pretty much how they all danced: Jump, jump, jump, hold hands and jump some more. So cute. Unfortunately, I didn’t get any photos of the games because I was far too busy running them, and Aaron was far too busy cooking dinner for the kids. After all the jumping, they were quite hungry, so we sat them down at the lovely little 10 kid table, with one sitting on a parent’s lap because I forgot to count Hannah when I ran my numbers. I know, I know…. The house was amazingly quiet for about 2 minutes as they gobbled up their chicken nuggets, chips, mini hot dogs, meat pies and sausage rolls. Hannah loved all of her presents, but didn’t want to slow down long enough to let us read the cards to her and thank who they were from. We made her do it anyway. Typical four year old I suppose. It was impossible to get a decent present opening shot. Hannah wouldn’t face away from the wall and kids were trying to get as close as they could to see what Hannah got. And yes, that is a giant blow up dinosaur under Hannah’s chair. And then came the part all the kids had been waiting for: Cake. At Hannah’s request, I made a strawberry cake with fresh pureed strawberries. Two actually. 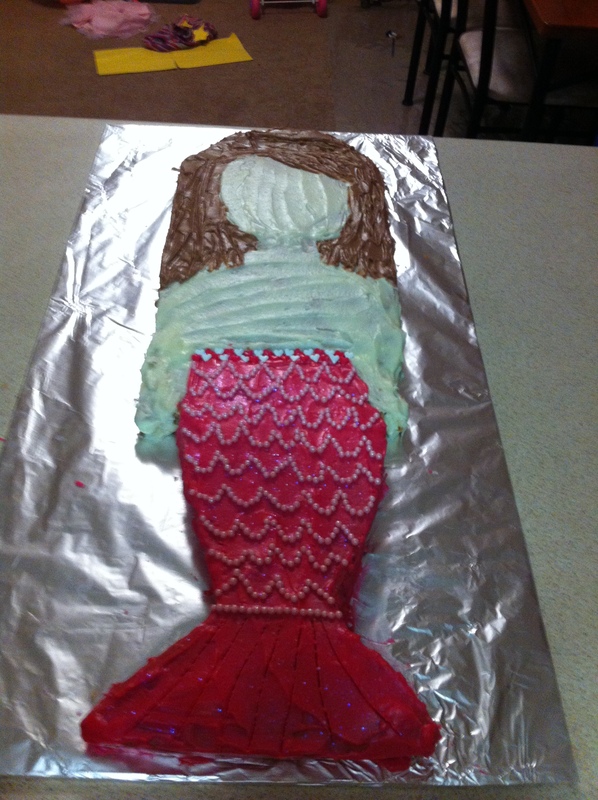 I needed that many to make a mermaid Hannah cake. I couldn’t find a cake board or platter big enough to hold the cake though, so I went to Bunnings and got some MDF cut to size for $3.50. Bargain. 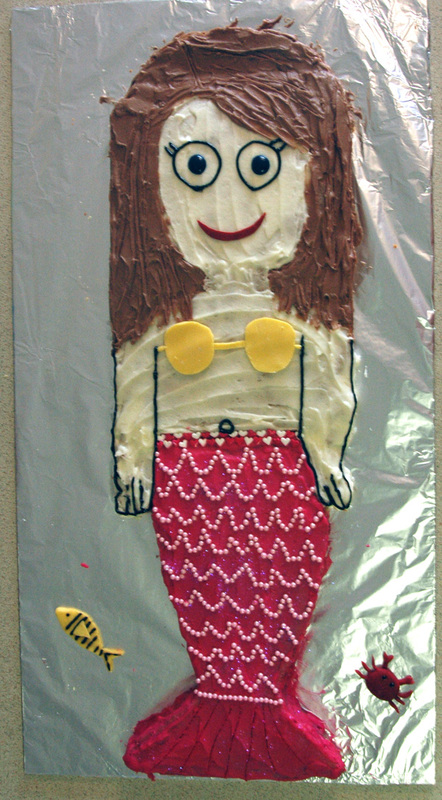 After scouring the internet for mermaid cake ideas, I decided to just create my own because all of the internet cakes were either a) way too hard b) hideous, or c) used an actual barbie doll, and I didn’t really want to be scrubbing bits of cake and frosting off of Barbie afterwards. 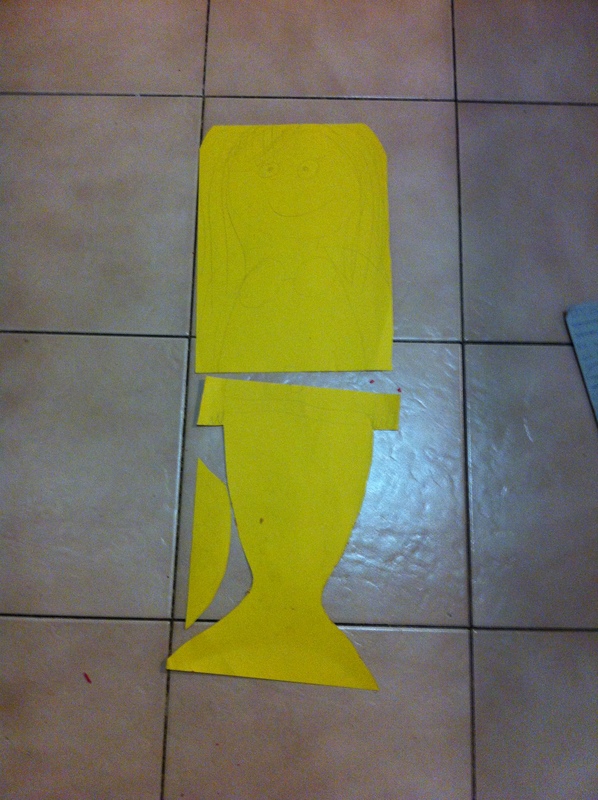 I traced the rectangular cake pan and cut out the exact size, then drew a mermaid shape onto the cut outs to make the template for the actual cake. 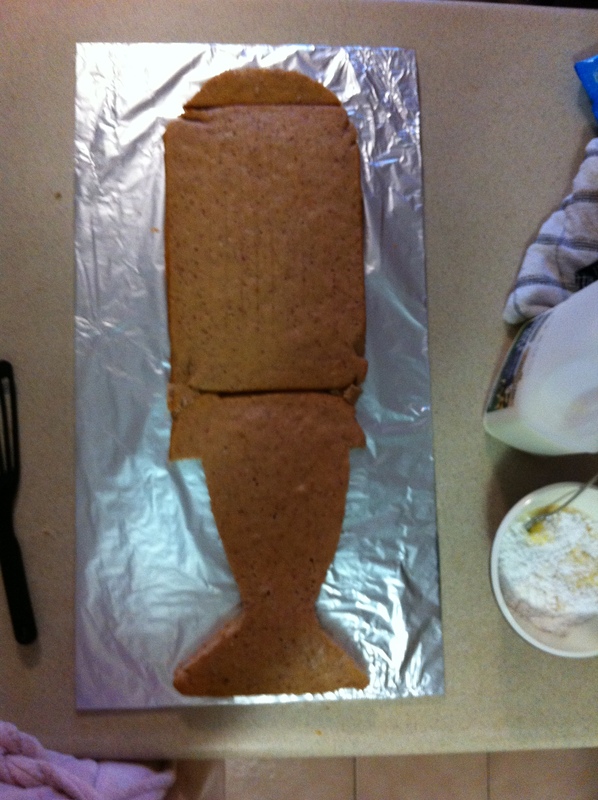 The cake after being cut to shape. Shove off cuts into crevices if you need to. I made some butter cream frosting and first frosted the face, neck and arms. Then I added some pink food colouring and did the tail. Finally, I made a batch of chocolate frosting to do the hair. 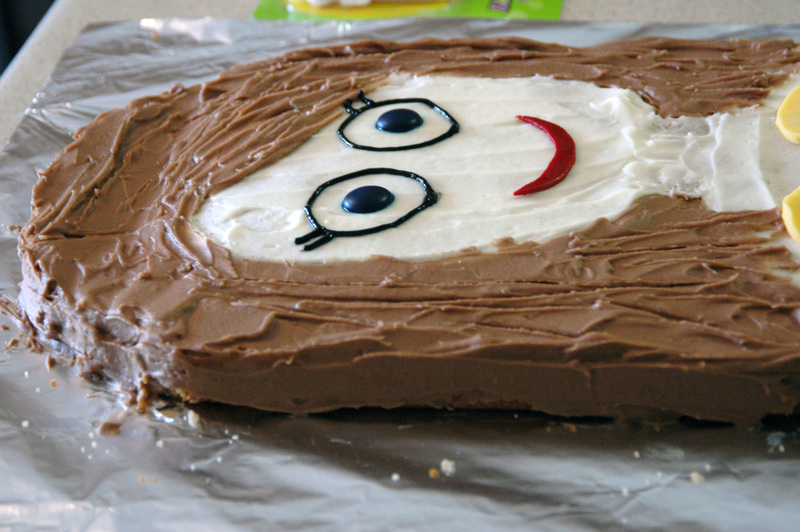 To make the hair look like hair, just use a knife to make indents in the frosting going the right direction. Same for the end of the tail. 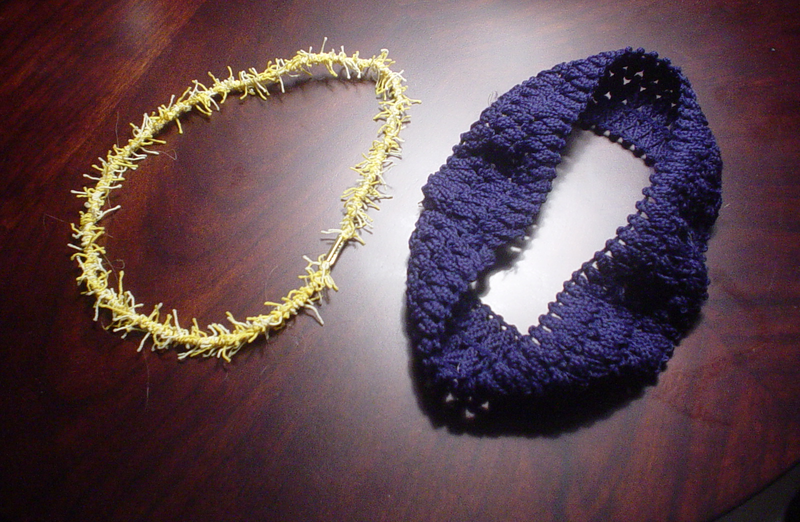 The tail beads are edible, as is the glitter. Never mind that the edible glitter cost $9 for a tiny jar. Totally worth it. Plus I already had it from when I made The Jess’ wedding cake pavolva. I drew the eye outlines, and the arm details on with a tube of black writing icing and made a little bit of blue icing for the irises. The clam shell top was made from roll out icing. 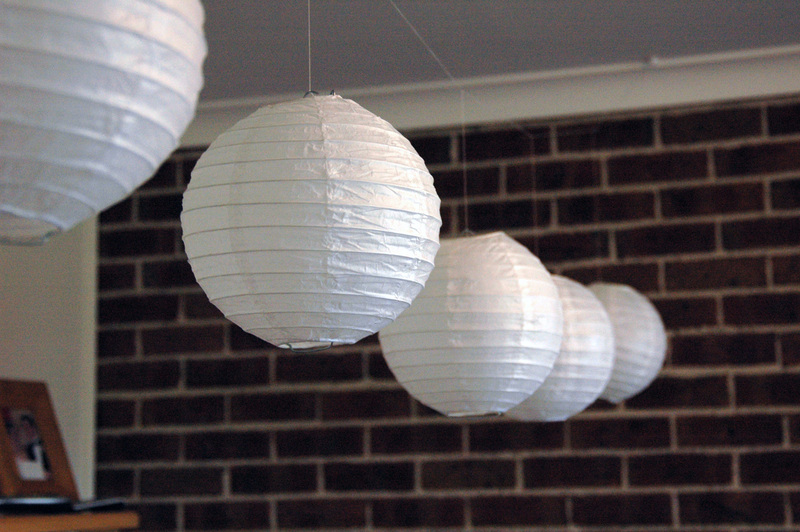 I wanted to use real shells, but I couldn’t find any at the shops. In hindsight, the whole cake would have been better had I used roll out icing instead of butter cream. 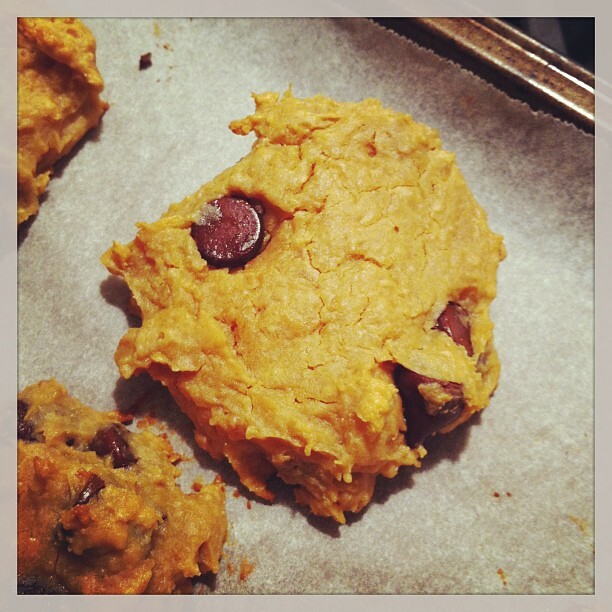 It would have been smoother and more professional looking, but whatever, Hannah didn’t care. Time to sing Happy birthday. Or as Daniel calls, it, Happy the birthday. Like my mermaid hair? “Mommy, when can I have another party?” Hannah asked me after everyone left. “I love parties!” Daniel told Aaron. I guess the party was well received. “Happy the birthday to you,” we could hear Daniel singing to Hannah this morning in their room before they got up for the day. At least he remembered, even if it was a day early. And just for the record, according to Daniel, it’s happy THE birthday, much to Hannah’s disgust. “Hannah, what are you doing?” I heard Daniel ask Hannah inside their room. I stood there, just outside their door, laughing quietly to myself. I’d just put them to bed, and I knew exactly what Hannah was doing. Just picture an almost 4 year old doing the running man in PJ’s. I’m not sure. I don’t wear headbands to work out. 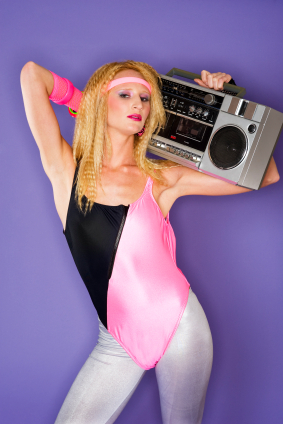 I don’t watch ’80s workout DVDs (or videos HAHAHAHA!). But as soon as she put that headband on, she started running in place and intentionally breathing hard as if she’d been running for 10 minutes. Unfortunately she inherited my natural running gait, which consists of flappy arms awkward legs, kind of like a baby bird trying to fly. Basically her version of running in place looks like a slightly off-kilter running man. 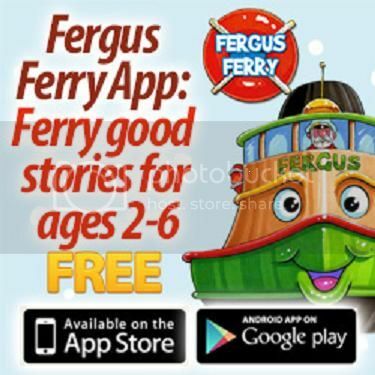 And so it went around a few times whilst I tried not to laugh too loudly, visualising the scene in their dark room, listening to the fast pitter patter of her feet as they touched the ground, until Hannah opened the door because she forgot to take her clock to bed. She must have taken her head band off when she went back in because the ’80s workout star didn’t put on any more performances. “Can we make bars?” Hannah asked me the other day. And by bars, she means home made granola/muesli/snack bars. Delicious/nutritious ones. The next day, we went to the local beekeeping shop. Yes, there is one of those around here. Random, I know, but they have raw honey and I’ve been keen to try some, plus it’s about half the price of processed supermarket varieties (at this particular place, I’m not sure if that statement is true in general). After getting both kids and the jar I was going to put the honey in out of the car, we went in the shop. “Sorry, we’re all out of honey. 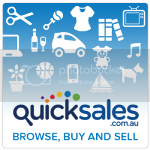 I will be getting some Monday week.” The man told me as soon as I stepped in the door. I’d been in there before to get honey only to find out that I needed to bring a clean container to put it in. “Why were they all out of honey, Mommy?” Hannah asked me on the way home. “The bees will have to make some more. 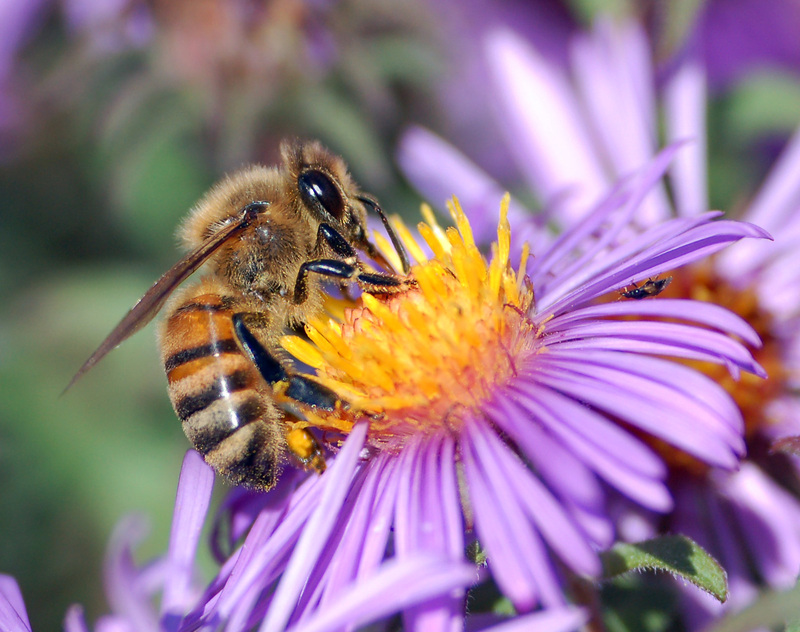 How do they make honey?” Hannah asked me. “No Mommy, you don’t have to look it up, they pee out honey, I already know that,” she told me matter-of-factly, suddenly remembering. Don’t get me wrong, I did learn a little bit about bees in my Biodiversity class at uni, but that little bit pretty much only extends to the fact that they are pollinators and that a virgin queen bee goes on a mating flight where she copulates with about 15 males, ripping off their penises in the process, which gets her enough sperm to sustain her baby-bee making needs for life. We did not learn about how honey is made. Maybe that is something I should just know, but I don’t. Obviously, in the mind of a three year old, make is synonymous with pee. And now you’re curious how they actually make the honey aren’t you? It’s not much better than pee, but if you really must ruin your affection for honey, Click here. Meh, I’m still going to eat it. “I’m a princess!” Hannah said, wanting to play royals too. “No, you’re the king.” I told him.